If Your Child Doesn’t Like to Read Books… Why Not Try Magazines? Hi there! Welcome back:) I’m so glad you’re here! If you’re in need of some other options for reading materials for your kids, you’ve come to the right place. 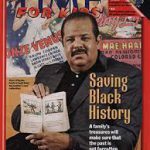 I would love to share with you some of the best children’s magazines for kids, ages 12 and under, that have inspired my kids to want to read more than ever! Some of them even enjoy magazines much more than books, believe it or not! If your kiddo is not all that into books, try magazines! If you’ve visited my website before, you probably know that I am a former teacher, and now have a private tutoring business that I have owned and operated for 11 years now. I wish I could say that all of my kiddos love to immerse themselves in great and inspiring books when they have free time! However, that is simply not the case. Many of them are happier to simply sit and play games or watch YouTube videos for countless hours a day. 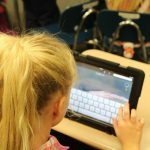 Many kids love to simply sit and play games for hours on their tablets. So, I have had to be proactive in many of these cases. If my kids don’t like to read books, I decided that what we needed were some great kid’s magazines! A good magazine can keep your child engaged for hours. When I was a child, I used to love to get mail! It didn’t matter what it was. As long as it was addressed to me, that’s all that mattered. I think it was because it made me feel important. And…who doesn’t want that? 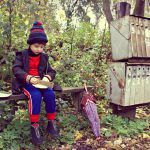 Kids love to get any kind of mail, as long as it has their name on it. I was blessed to have a very smart mom. She decided early on to “ignite” in me a spark for reading by ordering a children’s magazine to be delivered to our mailbox, with my name on it, every month! Smart thinking on her part. I absolutely loved it! This magazine was so inspiring with great stories, puzzles, jokes, and so much more. And the best part? I felt like a “miniature grown up,” reading my magazine, while my parents read theirs! This magazine has been popular for ages! In fact, this is the very magazine my mom had mailed to me when I was a child. 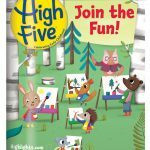 Highlights comes in 4 different stages, geared to the age of your child: Highlights- Ages 6-12, High Five- Ages 2-6, Hello- Ages 0-2, and High Five Bilingue- Ages 2-6. Highlights comes in 4 different stages, depending upon the age of your child. With each issue, your child will be entertained with fascinating stories, both fiction and non-fiction, as well as fun activities they can learn about that deal with science, dinosaurs, hidden pictures, art projects, riddles, and so much more. You can visit Highlights.com for more information, or simply click on the icon below that will direct you to the Highlights store where you can get a free and a tote, just for ordering! National Geographic Kids is a terrific magazine for kids, ages 6+ who love animals and nature! Each issue is packed with amazing pictures, facts, and stories of different types of amazing animals and the environments in which they live. These magazines also contain different sections where kids can learn about really cool inventions, practice their writing and grammar, and even read comic strips. Animal lovers will be enthralled with these magazines! National Geographic Little Kids is mostly geared for the little ones, ages 3-6. These issues mostly contain pictures and animal stories with larger print. They also give kids the chance to test out their skills on things such as: finding differences, naming different kinds of fruits, identifying colors, naming body parts, and so much more. 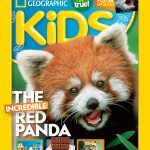 For more information, you can go to nationalgeographic.com to find out more about these wonderful magazines for the animal lover in your child! They even have a special going on where you can get a yearly subscription for only $15. 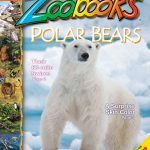 Another wonderful magazine for the animal lover in your child is Zoobooks. These magazines come in 4 stages, depending on the age level of your child. These are: Zoobies- Ages 0-3, Zootles- Ages 3-6, Zoobooks- Ages 6-12, and Zoodinos- Ages 6+. Each issue contains tons of fascinating pictures of animals and fun facts to go along with them. In the primary issues, such as Zoobies and Zootles, they have poems where your child can practice words that rhyme, counting activities, and more. The Zoodinos magazine is dedicated primarily to dinosaur facts, which of course, every child on the planet loves to learn about! These are terrific animal magazines that are loaded with fun facts! These are fantastic magazines that will inspire your child to want to read, or read more! For more information, you can visit zoobooks.com, or simply click on the box below to get a great deal on 2 yearly subscriptions for the price of only $29.90. That’s 2 for the price of 1! These magazines are perfect for kids, ages 8+, who are geared towards sports and athletics. Each issue is loaded with the most up to date information on professional athletes, fascinating stories that are easy to read and comprehend, sports trivia, trading cards, mini posters, and more! 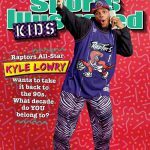 Kids who are “into” sports will absolutely love these magazines, geared specifically for children. The great part is that they are written with both girls and boys in mind. So, whether your child is into football, soccer, baseball, hockey, or whatever sport, these are sure to make a hit with your kids! To find more information, you can visit SIkids.com. for subscription information. Time For Kids is such a great magazine for engaging and keeping your child interested in learning new and innovative concepts. These magazines are also geared according to your child’s age level. Time for Kids is packed with so much pertinent information relative to our everyday lives. The K-1 magazine is geared towards the younger kiddos. 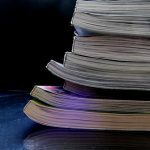 These magazines contain easy to read and comprehend information on topics such as: the life cycle of the sea turtle, engineering facts and information, animals, colorful pictures, and more. The 2nd grade magazine has short and easy readable articles and comprehension questions to match. There are also articles on science, engineering, and intriguing facts about space, and many other informative articles and posts that will keep your kids reading for hours. The 3rd-4th grade magazine pertains mostly to the human body, and gives extremely helpful and informative information on how to stay healthy. I highly recommend this periodical for all of my tutoring students who aspire to be doctors and nurses someday! Last, but not least, the 5th-6th grade magazine is packed with scientific articles written by kids, world news, community matters, science experiments, art, and so much more. For more information, you can visit timeforkids.com. I love these periodicals! 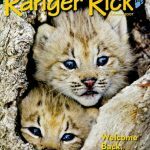 The Ranger Rick magazines are geared towards boys and girls, according to 3 different age groups: Ranger Rick- Ages 7-12, Ranger Rick Jr.- Ages 4-7, and Ranger Rick Club- Ages 0-4. These are loaded with all kinds of interesting animal facts and stories, games, jokes, riddles, crafts, cartoons, and so much more. I have actually learned quite a bit about animals that I never even knew existed! It’s amazing what you learn when you take the time to read! Ranger Rick is packed with science and animal facts and information that your kids will love. For more information, you can visit rangerrick.org. This is a very popular magazine for girls, ages 8-12. These periodicals are filled with inspirational content, stories about girls in other cultures, crafts, recipes, advice, science experiments, and tons more. American Girl will make reading that much more enjoyable for the young ladies in your family! These are definitely magazines that your daughters won’t want to put down! With such quality content and inspiration, it will motivate your girls to read for longer periods of time. Price: 6 issues for $17.50. Prices can vary, depending on where you choose to buy from. For more information on subscription information, you can visit americangirl.com. 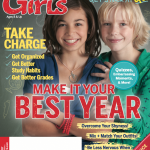 Another terrific magazine that is geared with girls in mind is Discovery Girls. This is primarily for girls, ages 8-12. 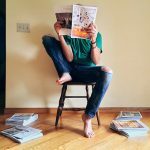 These periodicals include fashion tips, inspirational stories about friendship, decorating ideas, quizzes and contests, health and exercise tips, and much, much more. These periodicals give pre-teen girls the much needed inspiration and encouragement they need. These are such “good reads” for girls who are at that pre-teen age, giving them not only inspiration, but also encouragement for the years ahead. I wish these were around when I was a pre-teen. I sincerely hope that I have given you some great ideas for reading materials for your kiddos. It might be well worth the money and effort to invest in some great children’s magazines to help boost your child’s interest in reading, or even to take them further with their learning. If you have any questions or comments, please leave them below, and I will be more than happy to get back with you as soon as I can. And as always…Happy Reading to You and Your Child! I didn’t even consider kid magazines for my daughter as an option until I found your site. You just gave me a great idea to help get my daughter more engaged in reading. My daughter falls into that category of children who will watch Youtube for hours on end watching other kids play games. I will never understand it. I think the magazines will help keep her attention a little longer than forcing her to read a chapter book. Thanks for this great insight! Thank you for the lovely blog post, Suzi. I have struggled with getting my kids to read. I always thought they would grow up wanting and loving to read because I read them story books every night. Do you have any tips on how to encourage my kids to read. I believe the problem might be that they are bilingual and they are learning 2 languages at once, and they might be overwhelmed. I have a boy Jayden that is 8 and a girl Angela that is 6. Thanks for any insight you can provide. Hi Daniel:) Thank you for sharing a little insight into your kids’ worlds! I work with kids on a daily basis, and the most challenging thing I face is how to get many of my kids to want to read! I work with many kiddos who speak 2 languages, and these are many of the ones who tell me that they don’t like to read. However, I’ve found that when I keep trying different genres of books, eventually they will end up with a book they just can’t seem to put down! For Jayden, you might try the Alexander books by Judith Viorst. They are some of the most hilarious books I have ever read with my kids! You might even try the 39 Clues. This is a series of books that are, in essence, mysteries that revolve around 2 kids, Amy and Dan Cahill. I read the 1st book, The Maze of Bones, and didn’t want to put it down! For Angela, you might try some easier books like the Mr. Putter and Tabby books. These revolve around Mr. Putter, and his unforgettable cat, Tabby. Throw in the next door neighbor, Mrs.Teaberry and her dog, Zeke, and you’ve got non-stop entertainment! Hey, I love getting my own mail too when I was a kid. I particularly love hand-written letters and stamps from overseas. Modern children are so lucky to get access to a variety of magazine nowadays and I think parents should take advantage of this to cultivate reading from an early age. Just to add to the list, my niece recently subscribe to Children’s Digest. The content is almost like an encyclopedia which is very fun and knowledgeable to read. I’m definitely not under 12 but I still read children’s magazines as they contain good information and images which help you to understand stuff easily. Kids will love magazines more than books because magazines contain much more images than books. Images is what kids are looking for. Magazines also help your child to improve their imagination skills. Hi there! I love children’s magazines, as well:) They have a huge amount of interesting and educational material that kids can learn from, as well as great and colorful pictures! I’m glad that you enjoy reading them! Best wishes to you!